Both the 2016 Honda Accord Sedan and the 2016 Ford Fusion are now available in Goshen and Monroe, but which one will serve your needs better? We’ve pitted them head to head across several important categories to see which sedan is superior. Honda has always made sure that drivers have plenty of options to choice from; with the 2016 Honda Accord Sedan, that starts with six feature-packed trim levels. LX: Even the entry-level trim includes technology you’d only usually receive in high-end models, including a multi-angle rearview camera with guidelines and daytime running lights. A Bluetooth HandsFreeLink system is also included, as is a four-speaker sound system. Sport: The Sport includes a dual-exhaust for increase performance – giving a boost to both horsepower and torque. Comfort is also emphasized, with a leather-wrapped steering wheel and a 10-way power driver’s seat with integrated power lumbar support. EX-L: The EX-L provides the indulgent comfort and first-class atmosphere that comes with leather-trimmed seating – and allows you to heat those in the front for added relaxation. Even your steering wheel is leather-wrapped. EX-L V6: The EX-L V6 takes all the features found in the standard EX-L, then powers up your drive with a high-performance 3.5L i-VTEC V6 engine. Touring: The Touring trim is thoroughly top of the line. As standard, Goshen and Monroe drivers will enjoy heated front and rear seats, a Honda satellite-linked navigation system with voice recognition, and a range of Honda Sensing driver assistance technologies. In stark contrast, the 2016 Ford Fusion is only offered in three trim levels – that’s half the amount of choice. The entry-level S is fitted with a SYNC system and keyless entry, while the mid-level SE gets a six-speaker stereo and upgraded driver’s seat. You’ll have to pick the very top trim level to receive seats that are either leather-trimmed or heated. Even as standard, Goshen and Monroe drivers will experience a vastly more responsive and powerful drive than the 2016 Ford Fusion when they sit behind the wheel of a 2016 Honda Accord Sedan.The 2.4L in-line 4-cylinder generates 185 hp and 181 lb-ft of torque, while Ford’s 2.5L 4-cylinder churns out just 175 hp and 175 lb-ft of torque. The 2016 Accord Sedan LX earns up to 27 mpg in the city and 37 on the highway* when equipped with a CVT, while the Ford earns up to 22 mpg city and 34 mpg highway. Even the first of the Fusion’s optional engines – available for added cash – only brings things equal, providing up to 181 hp and 185 lb-ft of torque. Those trends continue with each vehicles’ optional V6 engines. The 2016 Honda Accord Sedan can draw upon 278 hp from its 3.5L i-VTEC V6 while earning up to 21 mpg in the city and 34 on the highway* when equipped with a 6-speed automatic transmission. 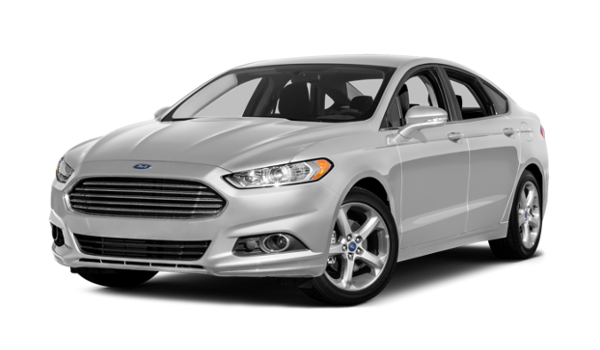 The 2015 Ford Fusion allows for just 240 hp from its 2.0L Ecoboost, and earns only 22 mpg in the city and 31 mpg on the highway. 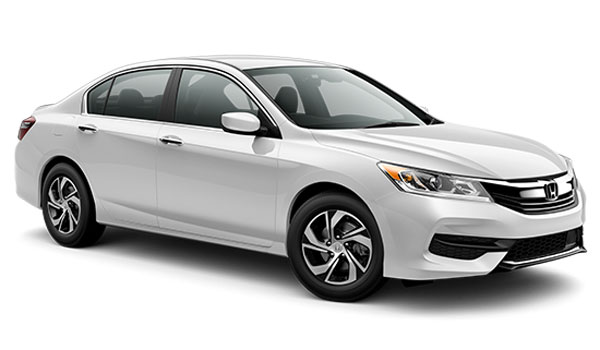 The 2016 Honda Accord Sedan offers marginally more space than the 2016 Ford Fusion for Goshen and Monroe families to stretch out and relax in – with a passenger volume of 103.2 cubic feet versus 102.8 in the Fusion.However, the real difference comes in the quality of the interior. Unlike the 2016 Fusion – which saw no notable changes for the current year – the new Accord Sedan has just benefited from a complete redesign. Materials are upscale across the board, and the whole vehicle embraces comfort and pleasing aesthetic choices to make sure that you can enjoy your ride to the utmost. Multi-Angle Rearview Camera with Dynamic Guidelines: Both vehicles receive a rearview camera as standard, but the Accord’s allows you to choose from three separate angles for complete confidence while reversing. Heated Rear Seats: Of the two vehicles, only the 2016 Accord Sedan is available with heated outboard rear seats. Speed Sensitive Volume Control: Annoyed when varying engine noise drowns out your music or phone calls? The Accord Sedan automatically raises and lowers the volume to compensate. Need a high-end sedan which offers enviable standard features, plenty of power, and astonishing efficiency ratings? The 2016 Honda Accord Sedan is the smartest choice, so come down to Middletown Honda today to find out more. We can’t wait to put our Goshen and Monroe customers behind the wheel of this classy sedan.